The city of Salvador is home to Brazil’s largest African community. It’s known for its pulsing music, colonial architecture, cobbled streets and colorful, dilapidated houses. Every year in February one of the world’s most vibrant and exciting carnivals takes over the city, with six days of crazy partying, dazzling costumes and African beats. 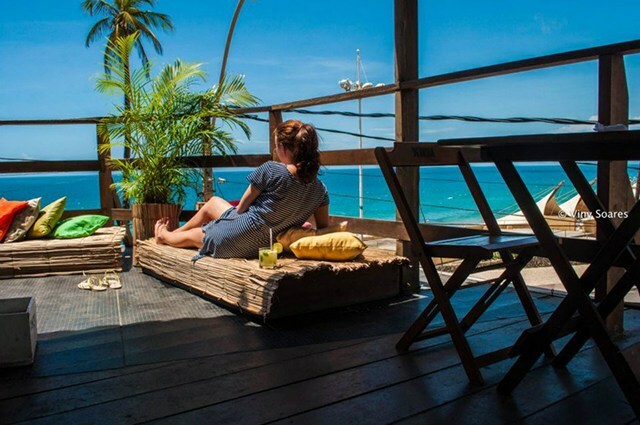 Whether you’re heading to the Bahian Carnival, or just traveling through at a different point in the year, we’ve rounded up the top 5 places to stay in Salvador on a budget. 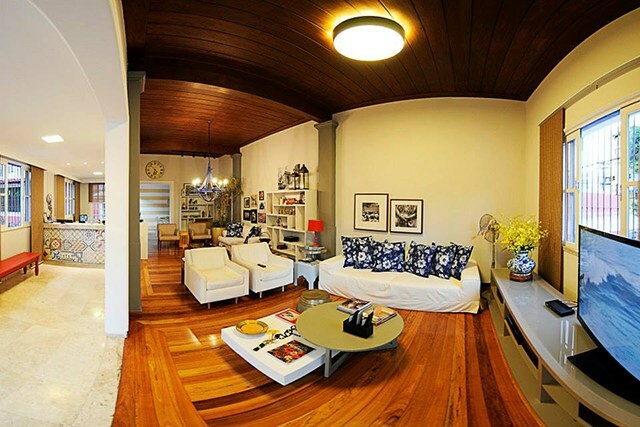 Here are our top picks for places to stay in Salvador for under $20 a night. The Cafe Hostel Salvador is a great budget option if you’re looking to stay in the city center. It has a stunning outdoor patio in a courtyard that is lined with palm trees, where you can eat breakfast in the mornings. The hostel sits within a colonial-style building and is located on a cobbled street within Salvador’s historic city center. Guests love its central location as it’s right by the best nightlife and restaurants — it’s a great place to crash after one too many caipirinhas. Book a bed at the Cafe Hostel Salvador from $13 a night. The Bahia Prime Hostel sits in a refurbished colonial house. 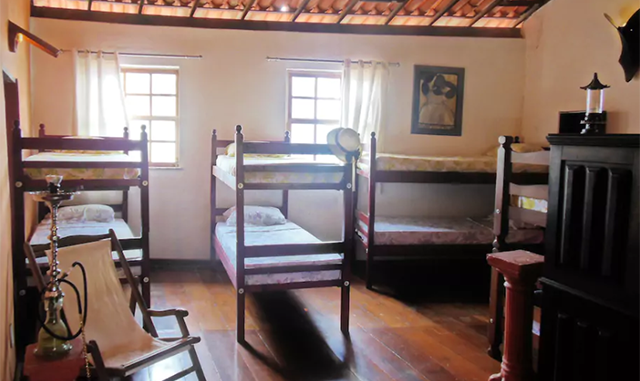 The hostel has large dorm rooms for 12 and 18 people, alongside privates. There’s air conditioning in all the rooms and individual large lockers help you keep your belongings safe. The hostel is within walking distance of Barra beach and it’s located just outside of the main tourist area — giving guests a feel for real life in the city of Salvador. Guests love the breakfast in the morning, which includes bread, eggs and tropical fruits. 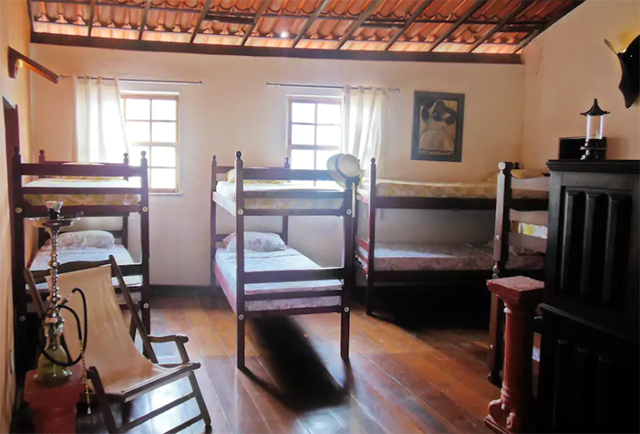 Book a bed at Bahia Prime Hostel from $16 a night. Che Lagarto is the most popular hostel chain in Brazil (and the largest chain in South America). The hostel chain is known for its party atmosphere, fun drinking nights and great group activities. If you’re traveling solo, or with friends and looking to meet like-minded partygoers, this is the hostel for you! It features clean and comfortable dorm beds and great drinks deals. Che Lagarto Salvador is located right by Barra beach and has a beautiful deck with views of the sea. Book the Che Lagarto Hostel from $16 a night. The Casa de Artes Sustentaveis is housed in a former 19th-century mansion that’s been newly renovated but hasn’t lost its original charm. The hostel still has its original wooden-tiled floor, brick walls, and wooden detailing. The hostel, whose name translates to the ‘house of sustainable arts’ is a bohemian hostel, with tons of artwork, a yoga studio and cultural activities. It prides itself on trying to be as eco-friendly and sustainable as possible. Its top selling point is its stunning rooftop cafe, with an incredible view of the bay. 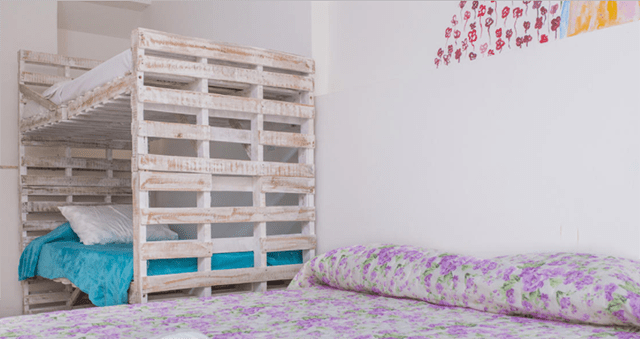 Book a bed at the Casa de Artes Sustentaveis from $12 a night.